When city girl Molly Bonner arrives in the village of Lufferton Boney, she creates quite a stir. With her non-country-style boots, determined manner and alluring looks, she sets off a wave of intrigue that ripples through the lives of everyone there, from Julie the barmaid at the Holly Bush to antiques dealer Dryden Fellows and Montmorency the cat. 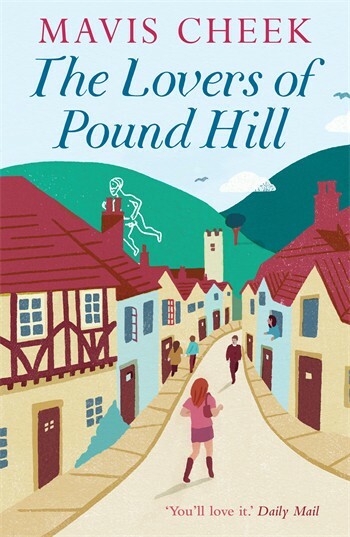 The Lovers of Pound Hill isn’t odd because of the subject matter (although it’s probably a little weird if you’re not from the UK) but odd because the characters are all a little bit quirky and stand out from each other- it’s not in many books that each character has a personal agenda and so vibrant a personality. As a child I was taken to see many white horses, tall men and other such ancient displays across the English countryside so a gnome with a large appendage seemed perfectly within the realm of normal to me and I initially pictured the gnome a bit like the Cerne Abbas Giant in Dorset. To be honest though, despite seeing all these amazing things as a child and teenager, I probably remember the picnics in fields and feeding nearby ponies more clearly so the fact that Cheek gave me a little bit of historical education and some information about archeological process (my sister holds a masters in Egyptology, you’d think I’d paid attention at some point) was a bonus. The story surrounding the excavation of the gnome was well mapped out and in a small English village one would expect to find some “characters” but this one has its’ share and more- I particularly warmed to the local nobles, the pub owner and a cat named Montmorency. Although I found the initial introduction to the villagers a bit confusing (there are at least three people whose first names start with D) they did quickly separate and become intriguing and I waited impatiently with them to find out what was beneath the gnome and the secrets it held. One might be a little disappointed in the end results but once I really thought about the significance I had to accept that nothing more appropriate could possibly have been held in trust to the gnome and the village. Thank you to Arrow for our review copy!